After coming home from today’s events, I would rather curl up on my reading couch, play calming music, light up some candles and essential oils, and drink green tea, while clearing my mind of every thought. This is what I wish. But no. I come home, I need to prepare a light snack and before I can even move in the kitchen I need to wash the dishes… Yes! Dish washing is for everyone. I make it sound like a difficult chore, but it’s really not. Especially if you watch these tips. But why am I telling you all of these? Because you and I should start to love dish washing. Because a study done at the Florida State University found out that dish washing calms the mind. So next time you feel like not doing dish washing because you feel like it’s a chore, remember this study! 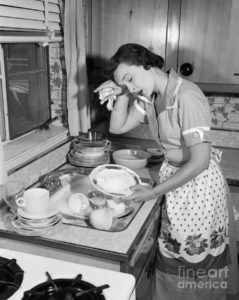 Dish washing, when done mindfully, can be a stress reliever. Take it from this research, you would be glad you did it. Well, it can be a stress reliever at times but when you’re already tired, it won’t be a stress reliever anymore. Laundry is the same, right? But it’s no stress reliever. Are you kidding me? Whatever sorcery you’re claiming about this, it doesn’t work for me. Being home is a stress reliever, LOL. So whatever chores I’m about to do is already a relief in itself! ? Interesting. Maybe I should tell my husband to wash the dishes when he’s complaining about being stressed at work! Good idea, he needs to do some chores! Anything that makes us focus on the task at hand can be a stress reliever. Like arts and crafts, cooking, laundry, etc. I like washing the dishes rather than using a dishwasher. I feel like it’s better that I know that the dishes that we’re using are clean. If my hubby is washing the dishes, then my mind is calm.? But he never does it, so whatever. This study is just a way of tricking us in washing the dishes. I thought so too, but it’s not like we have any choice.